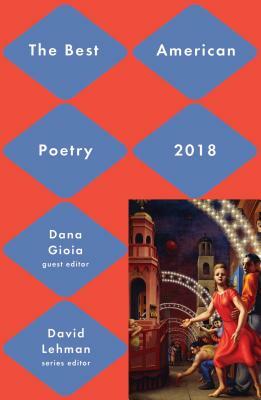 The 2018 edition of the Best American Poetry—“a ‘best’ anthology that really lives up to its title” (Chicago Tribune)—collects the most significant poems of the year, chosen by Poet Laureate of California Dana Gioia. The guest editor for 2018, Dana Gioia, has an unconventional poetic background. Gioia has published five volumes of poetry, served as the Chairman of the National Endowment for the Arts, and currently sits as the Poet Laureate of California, but he is also a graduate of Stanford Business School and was once a Vice President at General Foods. He has studied opera and is a published librettist, in addition to his prolific work in critical essay writing and editing literary anthologies. Having lived several lives, Gioia brings an insightful, varied, eclectic eye to this year’s Best American Poetry. With his classic essay “Can Poetry Matter?”, originally run in The Atlantic in 1991, Gioia considered whether there is a place for poetry to be a part of modern American mainstream culture. Decades later, the debate continues, but Best American Poetry 2018 stands as evidence that poetry is very much present, relevant, and finding new readers. David Lehman, the series editor of The Best American Poetry, is also the editor of the Oxford Book of American Poetry. His books of poetry include Poems in the Manner Of, New and Selected Poems, Yeshiva Boys, When a Woman Loves a Man, and The Daily Mirror. He lives in New York City and Ithaca, New York. Dana Gioia is an internationally acclaimed and award-winning poet. Former Chairman of the National Endowment for the Arts, Gioia is a native Californian of Italian and Mexican descent. He received a B.A. and a M.B.A. from Stanford University and an M.A. in Comparative Literature from Harvard University. He won the 2018 Poets' Prize for his collection 99 Poems: New and Selected. Gioia currently serves as the Poet Laureate of California, teaches at the University of Southern California, and has written five volumes of poetry, as well as the influential essay collection Can Poetry Matter? "A 'best' anthology that really lives up to its title." "Each year, a vivid snapshot of what a distinguished poet finds exciting, fresh and memorable: and over the years, as good a comprehensive overview of contem-porary poetry as there can be."